We are thrilled to announce that today we’ve set up shop in an Atherton Mill studio in South End! Keys in hand, we’re moving in. To date, all our best design work has been done in our home studios — or most days, with a coffee in hand at our favorite Queen City coffee shops in between client meetings and installs. We’ve loved the local, small business rhythm this has given our days but have long dreamt of a space that allows us to center our creativity, provide a client experience that’s consistent with our brand and showcase some of our favorite design trends. Not to mention, we love South End and Atherton Mill provides the perfect vibe and a dreamy space. It’s airy and modern and big enough to house inventory from our travels to showcase. While we just got the space today, we have big plans for a sample wall featuring our top vendors and go to vendors. The wall means clients will have an interactive component with the design presentation we couldn’t provide before, letting them touch and feel and see our favorite furniture lines, textiles and more. This space will be a working studio for us both, giving us an established creative space where we can go and design — as well as collaborate with our growing team. In the last month, we’ve added three part-time hires to our team. We’ve added an expert project manager, overseeing project details once our designs are in place, a PR manager handling our communications and social media, and a fabulous summer design intern handling all the happy details in between. Plans are in the works to deck out the space in our dream designs, taking some risks with colors, wallpaper and pattern — anything we’ve been obsessed with for awhile. And, of course, we’ll incorporate findings from our trips — Mexico, Thailand and soon — Morocco. Speaking of Morocco, we head there in mid October and plan to have a launch party for the space when we get back. Complete with cake and some bubbly and lots of exotic rugs and Moroccan finds. Expect that as well as trunk shows and parties and lots of fun in this space. Come on by and see us — and don't mind the construction outside our front door. We’re the ones laughing and dreaming with the door wide open and Berkeley’s friendly pup Shelby waiting by the door. You’ll find us at 2108 South Boulevard, Unit 115, www.houseofnomaddesigns.com and as always, watch for party and trunk show details at @houseofnomaddesign on instagram. What is it about a before & after that is just so amazing and inspiring to see?? We think that this a perfect time to show you some of our favorite before & after photos that we have found! 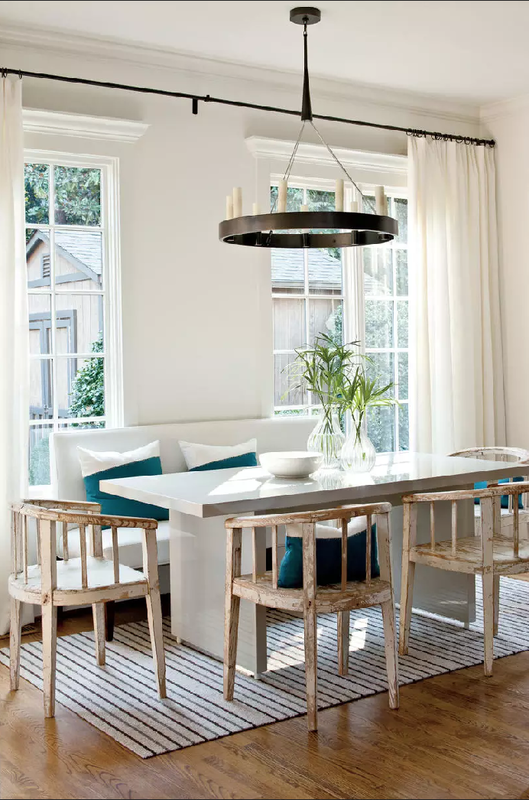 Southern Living Magazine did a great round up of several before and after images from several different designers. Do you have a project that you and your family have always TALKED about doing but just can't seem to get the wheels in motion? Or maybe it just feels a little overwhelming? Enter House of Nomad! We would love to come in and help. A lot of times these projects are done in phases so it does not have to be scary! It is all about taking that 1st step and starting the project in an ORGANIZED and educated way. 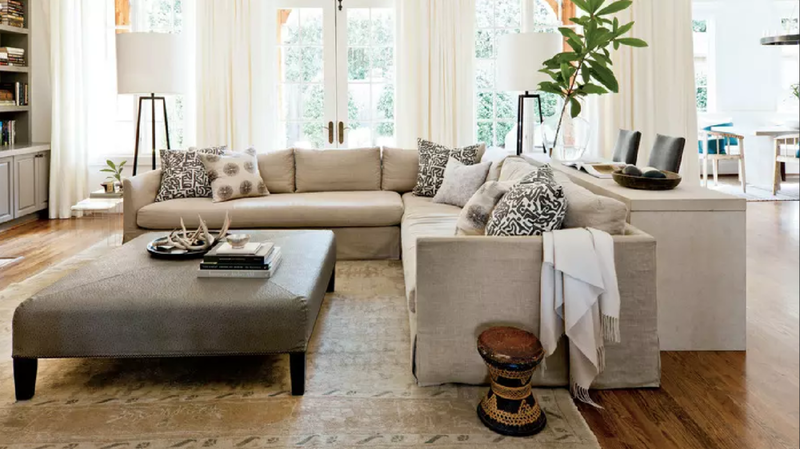 We see time and time again client's have a space that is underutilized and that with a new direction could really change the way that they live in their home! Maybe you would really love a quiet space or reading nook? Maybe the traffic flow from the front of the house is all out of whack and with the addition of a mudroom or even a bench/storage piece could help transform this space! So with the New Year here take time to look around your home and as yourself some questions... is there something in my home that bothers or frustrates me everyday? Could we be utilizing our spaces differently? How do you feel in each space of your home? Take notes and see where we could make adjustments, it could just be as simple as paint and some more house plants! Take a look at the Before & After's we found and let this be the push you need to tackle one of those projects you have always "just talked" about.